Natural, organic liquid vitamin, chelated mineral and trace element supplement. Administer as required post strenuous exercise. Each 80mL syringe contains a single dose (for 450-500kg). Administer orally over the back of the tongue. Always ensure access to fresh, clean drinking water after dosing. 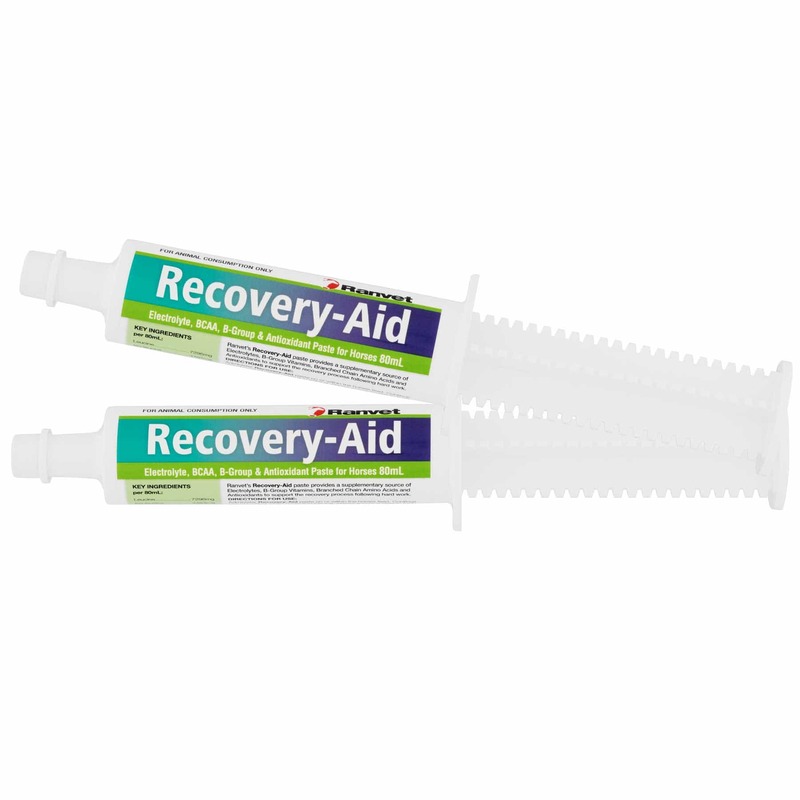 The Ranvet Recovery Drench Paste is ideally suited to boost recovery post fast work.